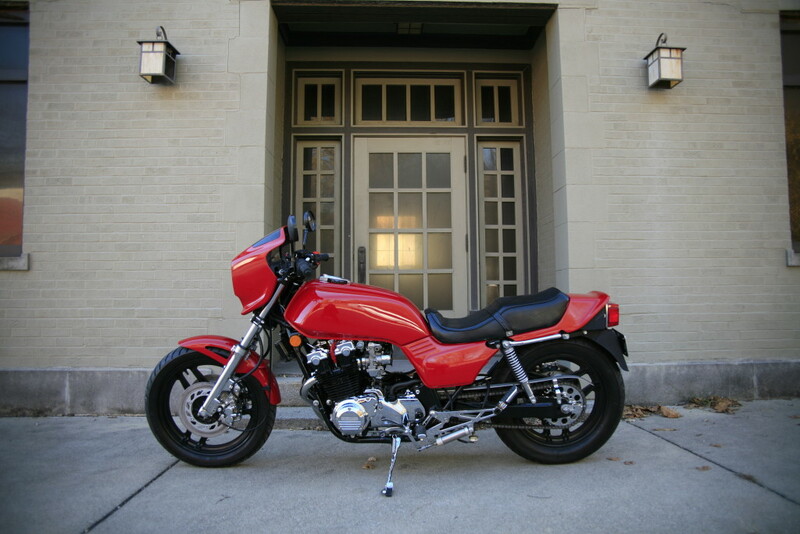 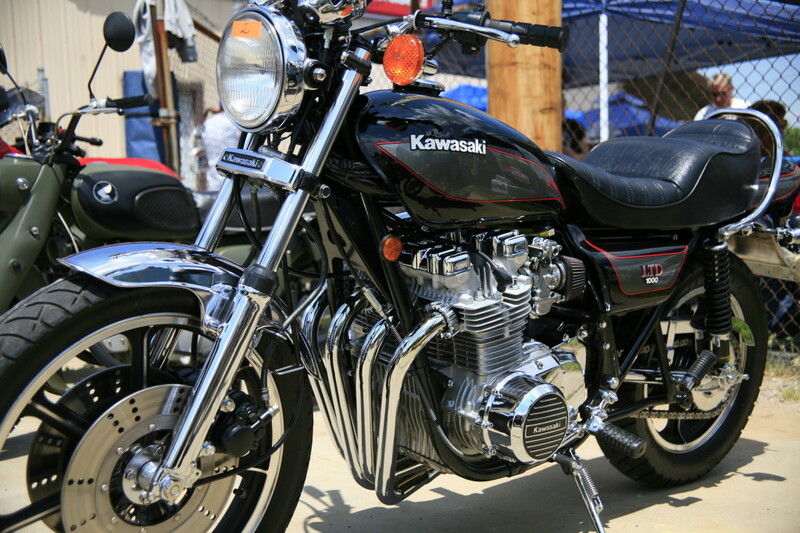 Honda CB1100F originally built in 1983 by Pace Kawasaki and still regularly ridden on the streets and the strip. 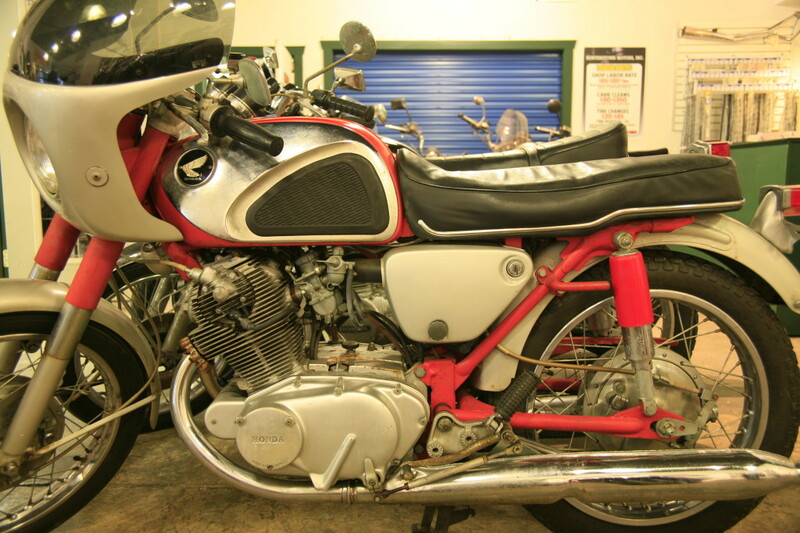 Delivered to Hunterstown Motors for a freshen up. 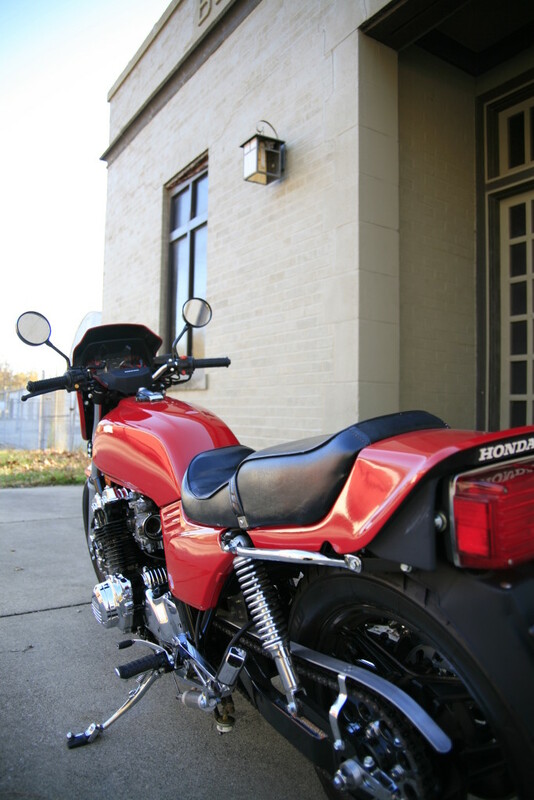 applied slick red paint to the body work. 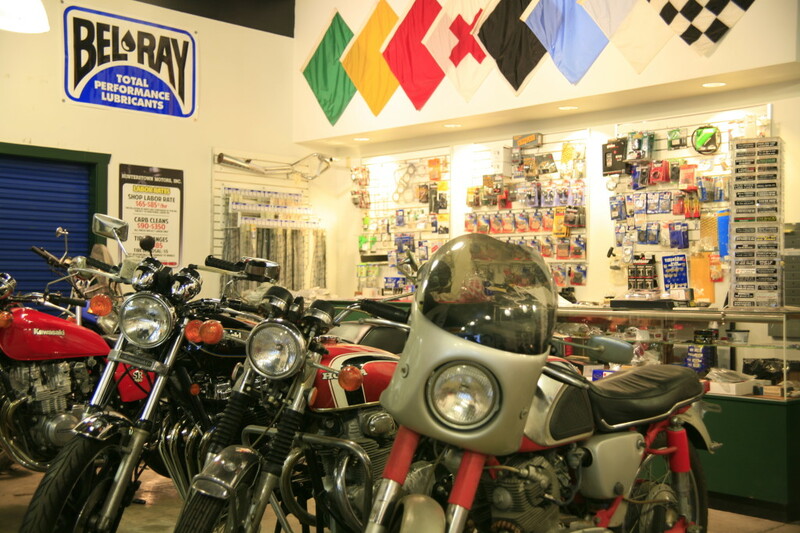 Projects lining the showroom in anticipation of the imminent warming of the atmosphere. 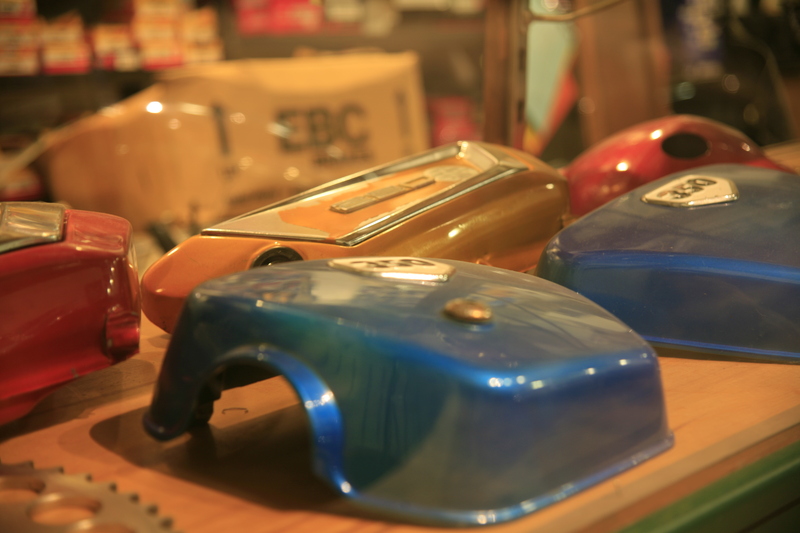 Vintage parts always in stock. 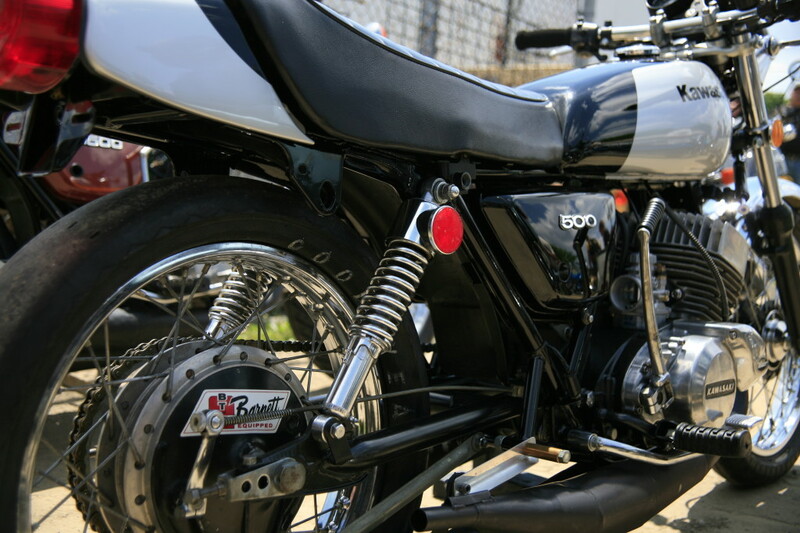 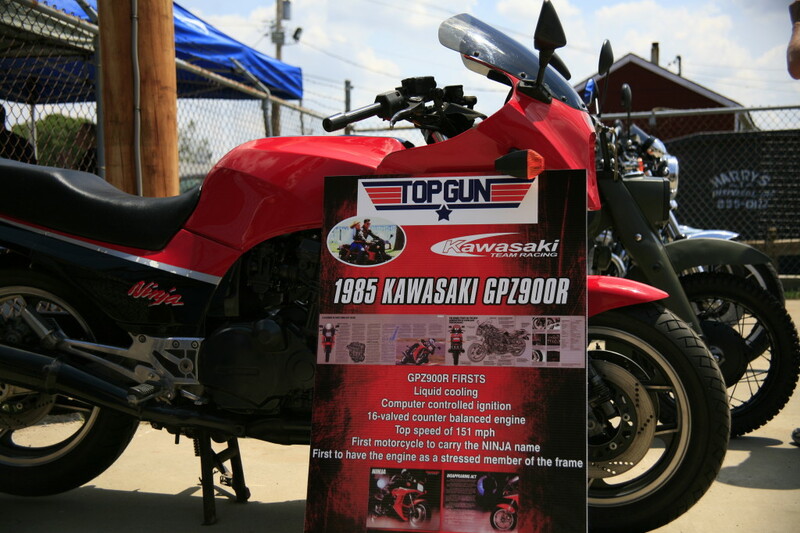 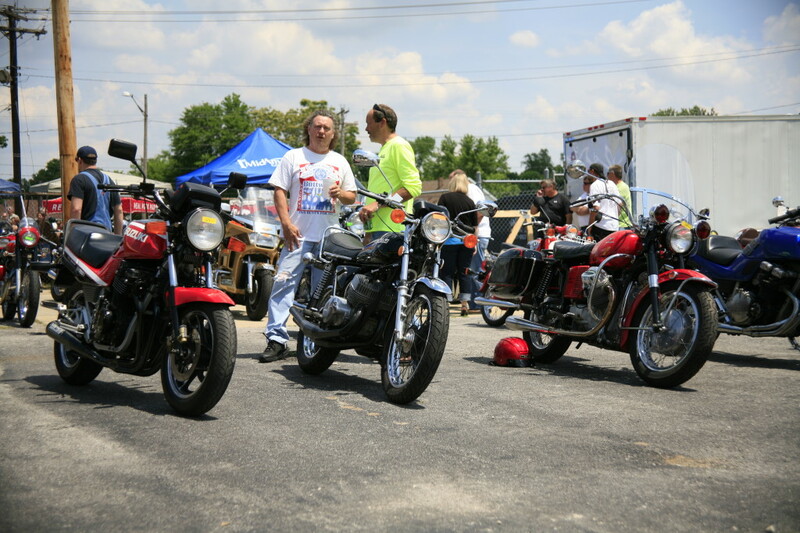 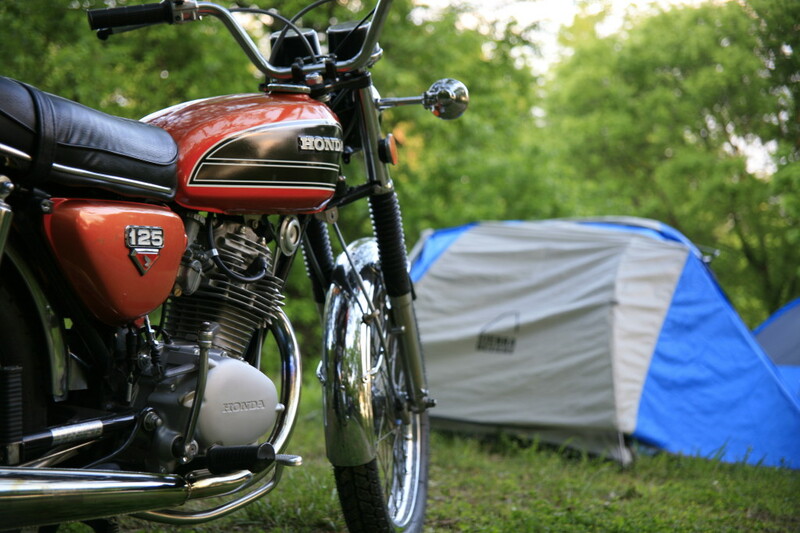 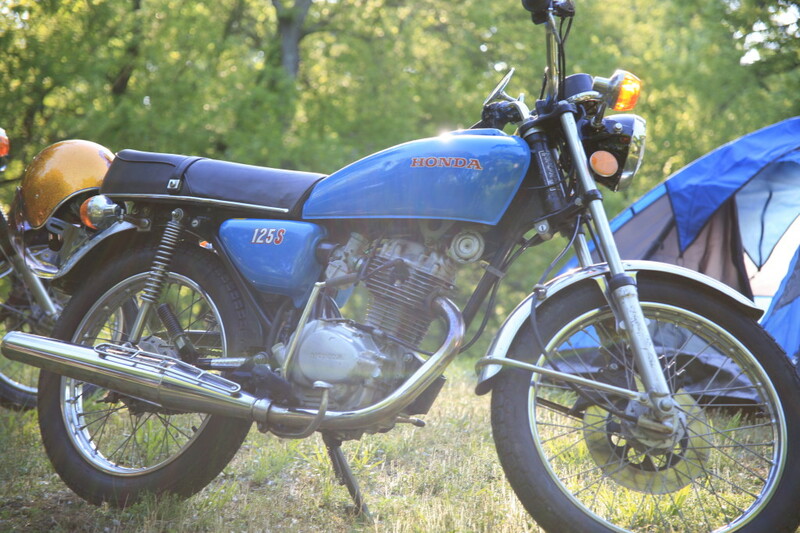 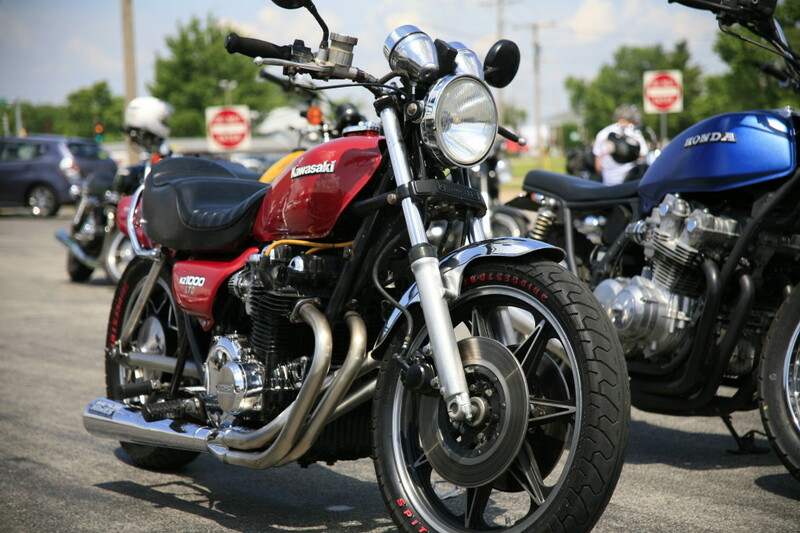 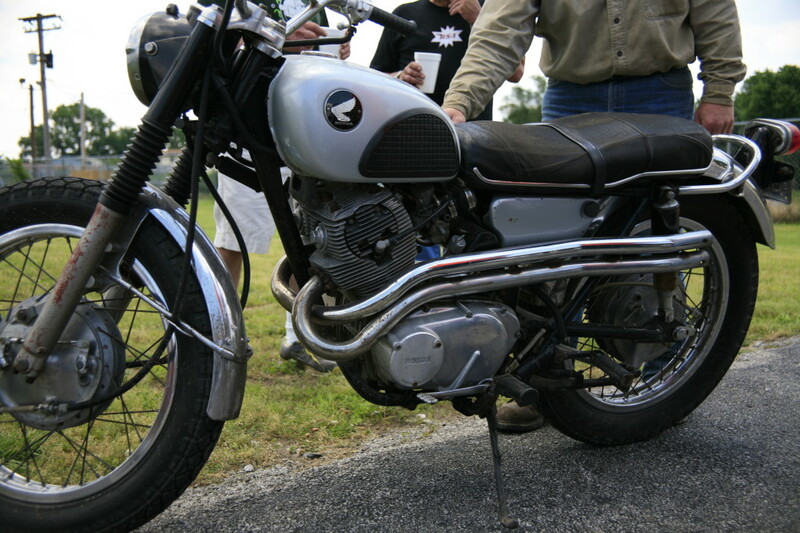 Vintage Bike Day at JMP Kawasaki – and the good times roll on. 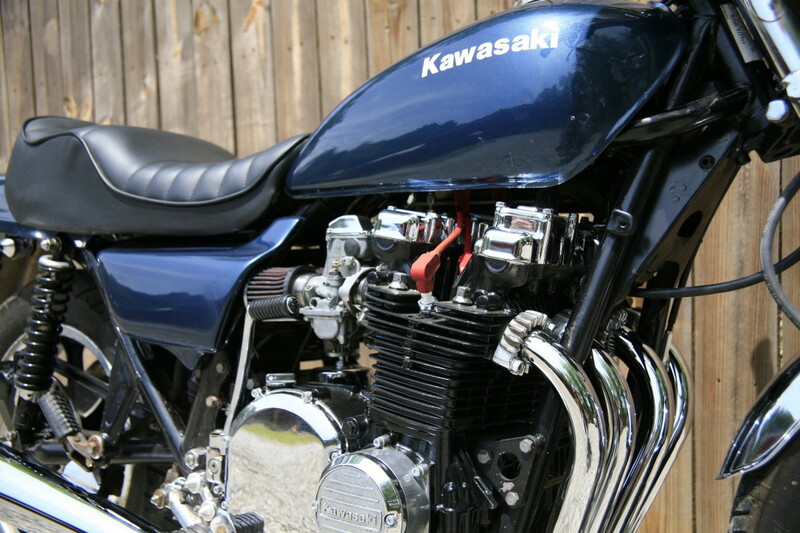 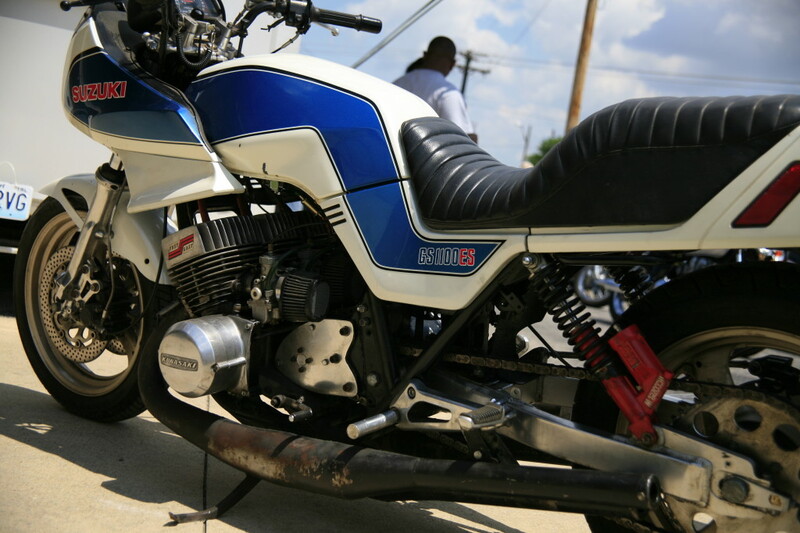 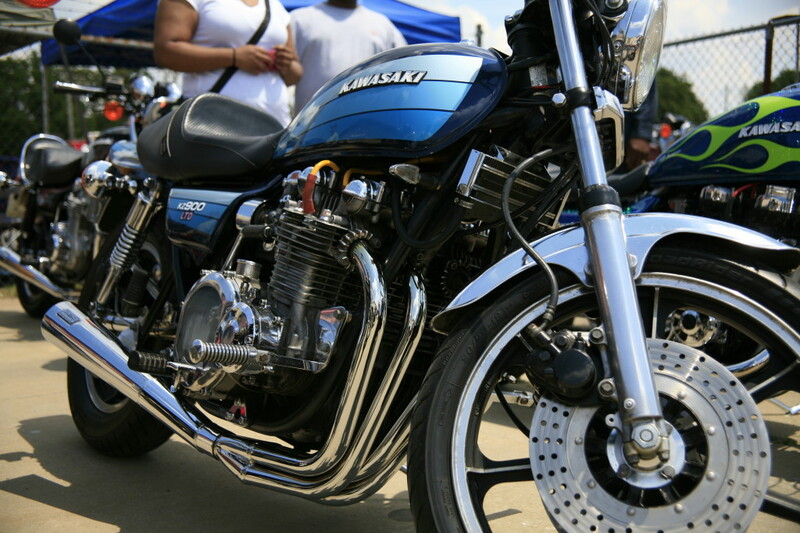 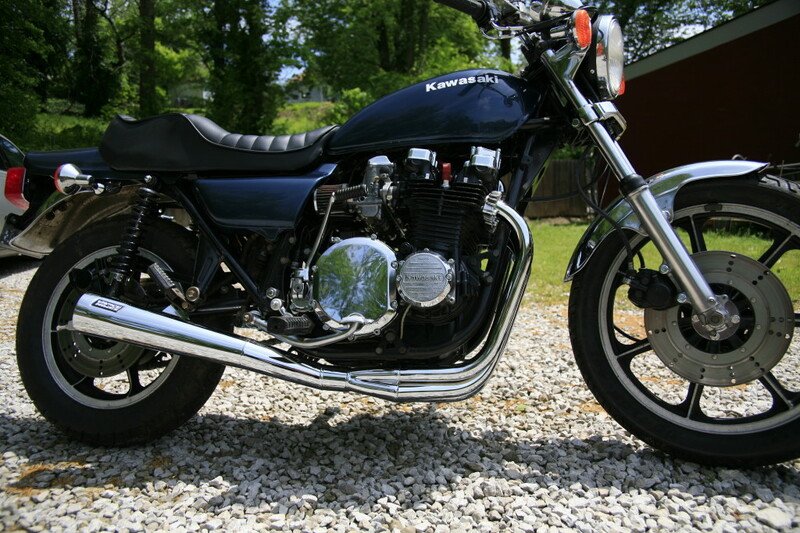 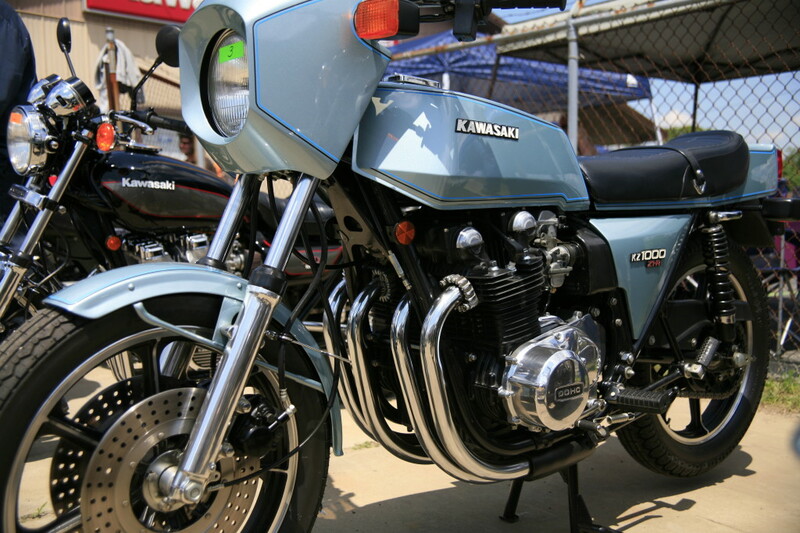 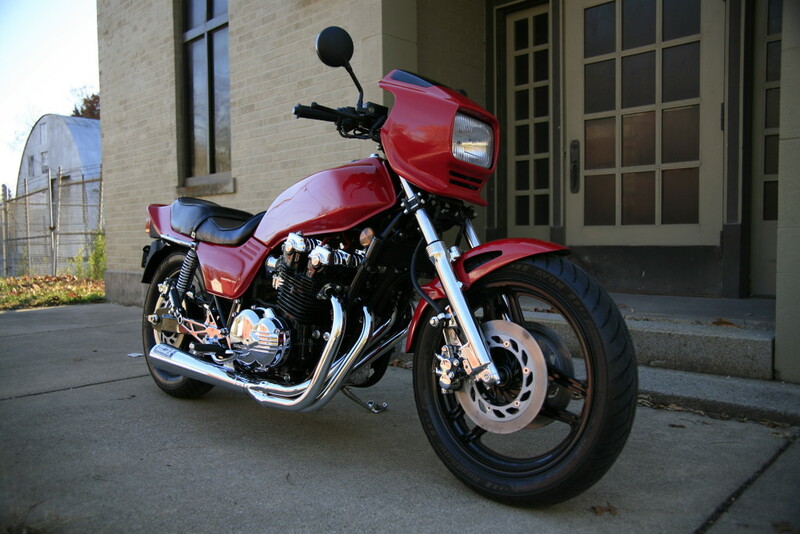 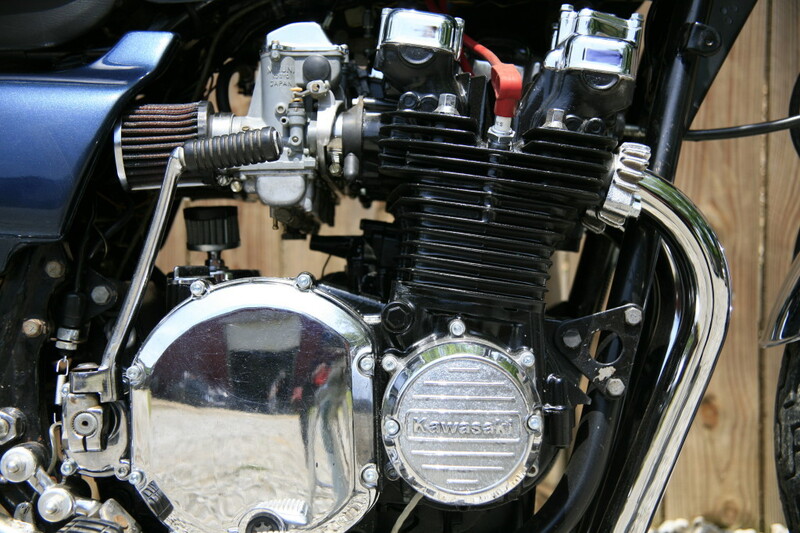 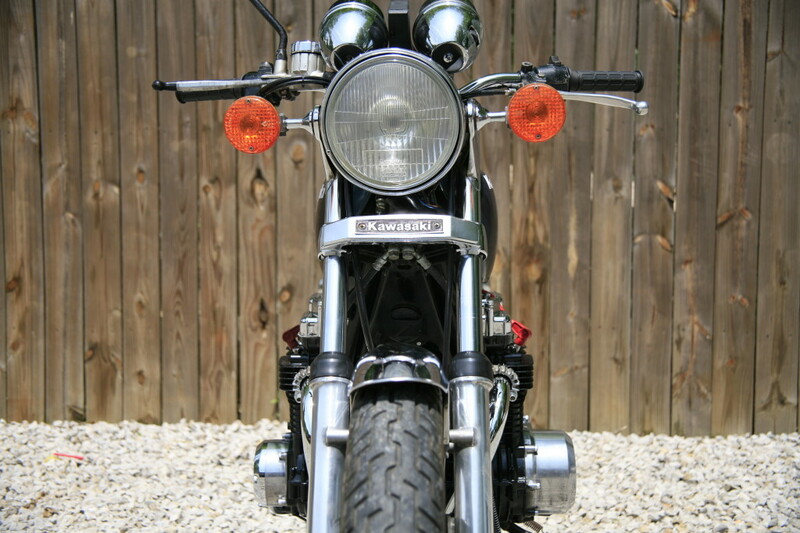 Suzuki GS1100 body moved along by a Kaw H2+an extra cylinder.